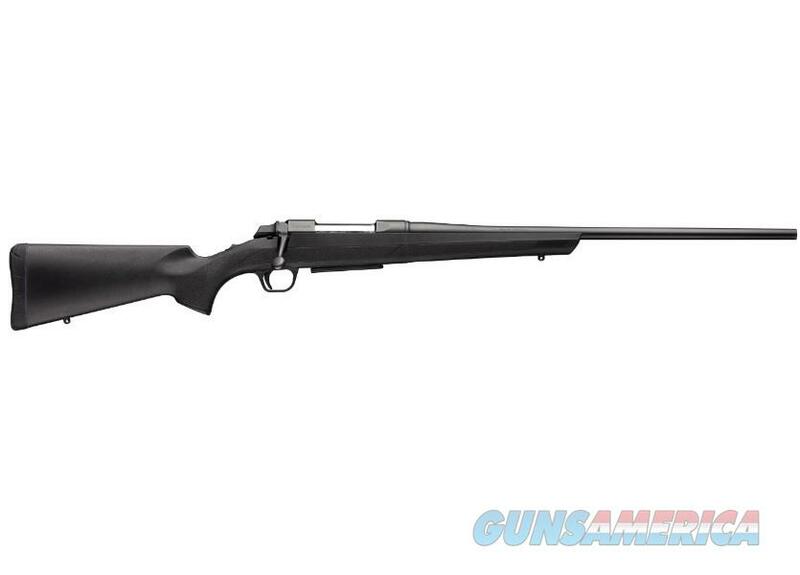 Matte blued barrel and action, black synthetic stock, 60° throw bolt-action, detachable double-stack magazine. Accuracy and performance. Browning's AB3 Composite Stalker gives you legendary A-Bolt accuracy and performance in a value-packed platform. The AB3 Stalker combines a matte blued finish barreled action with a rugged matte black synthetic/composite stock to create a high-performance hunting rifle that won’t blow a hole your budget . . . and can take hard use of serious hunting conditions in stride. Precision barrel. The button-rifled barrel is triple-checked for straightness and interior finish and then air-gauged to ensure a consistent diameter throughout the bore’s length. The AB3 Composite Stalker barrel is individually finished with a hand-reamed chamber for tighter tolerances and more precise head space. Durable. A durable matte blued steel finish on all external surfaces minimizes reflection and provides resistance to corrosion. The rugged synthetic stock with molded-in matte black color and textured gripping surfaces can stand up to virtually anything you (or Mother Nature) can dish out.